It's a common trend for developers of upcoming releases to announce downloadable content ahead of time nowadays and NetherRealm Studios is no different. The first of six DLC fighters coming to Mortal Kombat 11 in the Kombat Pack is Shang Tsung. Interestingly, the character is voiced by the Japanese-American actor, martial artist and stuntman Cary-Hiroyuki Tagawa, who starred as this same character in the 1995 Mortal Kombat movie. In addition to this, Noob Saibot has also been revealed in an official gameplay trailer. The character originally debuted as a secret fighter in the second Mortal Kombat game and became playable in Ultimate Mortal Kombat 3. How are you finding all of these Mortal Kombat updates? Are you looking forward to the game's launch next month? Tell us below. Really like Shangs design here, pretty much how I'd imagine a modern day update to be for him. Noob and Smoke were a great team. but, i'll manage them being separated. Love that they got Cary Tagawa to play Shang Tsung. Samurai Shodown will be better than this, as is tradition. 6 dlc characters season pass, for how much though. I'm glad they brought Shang Tsung back and the fact that Cary-Hiroyuki return to voice him. One major disappointment though is that he is a paid DLC which is stupid. Why charge money just to get an old character back in the game and why not include him in the actual game to begin with? Announcing dlc before the game even releases is the reason why I won’t be buying this game. So he was included in almost every Mortal Kombat game as a standard playable fighter, but now he’s part of a paid DLC package? Screw this whole philosophy of releasing game content. It’s just so dumb and unnecessary. DLC for DLC’s sake. Not sure if I will be getting the DLC or not the base game is a day one for me though., So far I've liked what little I've seen of it, I've stopped watching all the reveal trailers for upcoming video games I like the surprise factor you get from not over saturating yourself with reveal videos . Probably just wait for the inevitable super duper whatever complete edition at this rate. This is why I don't buy fighting games anymore. the game isn't even out yet and here they are talking about dlc. why not not include then in the game from the start? wtf? @SpookyPotato yeah. Won’t be getting day one as often the DLC fighters are the best of the whole bunch. I've preordered the game as I always liked MK, however, I'm a bit annoyed that they didn't even reveal all characters yet and are already showing DLC content. 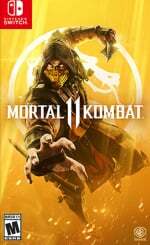 That is a no no on my book so next MK I'll not preorder, I'll wait for it to be either on sale or the definitive edition. Love this trailer! Looks really good brutal fun. I'm almost certainly getting it now. Has anyone seen Switch footage though? I have grave doubts about this running well especially in hand held mode. It just looks too good. @Medic_alert I thought they recently had a stream or trailer fully recorded on the switch version. Could be wrong though. @darkswabber I'll have a look. Haven't heard anything. Lol everybody whining about dlc announcements before the games out do you realize how many companies do this nowadays at least they are showing you what you’re paying for before you buy it. 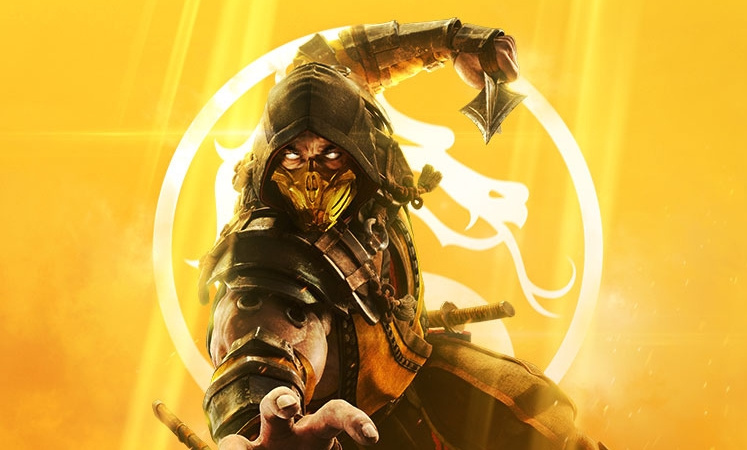 So wait, a character from the original Mortal Kombat game returns... As paid DLC? How sad that we have reached a point where the public think this sort of crap is acceptable. Many of Nintendo's own games now have DLC (often day one!) and I've hardly bought any of them. I was keen on MK11, but now I think I'll wait for a discount. My dollar won't count for much, but I have enough games to keep me busy, which makes the problem of DLC easier to ignore. I would be more inclined to buy these games if there was some surety that a complete edition with all of the content on cartridge will eventually be released (in which case, I actually wouldn't mind double dipping), but that almost never happens. In some cases, we don't even get the base game on cartridge! I'd rather AAA games cost $10 more instead so we can get the full game from the get go rather than paying more than $10 for console-locked content that will also hog an indeterminate amount of storage. They always include all the dlc in a re-release a few months later, everyone put off by this should just wait for that. I know I will. @Draxa so that makes it right? they haven't showed diddly squat, especially for switch. @gloom I’d normally be the first person to agree with this - however the exception for me is IF the game has the equivalent of a ‘full game’ worth of Kontent to begin with... Don’t get me wrong... I agree that this is a terrible practice in general, but if it’s because they haven’t yet created the character other than the model etc, I’d be ok with it, but once again this is with the assumption that the game is ‘Komplete’ to an extent without the DLC. @bratzdoll Well... yes.. but it’s much more than a few months after the original game release... I get your point though. @Draxa I’m happy if the game has a decent amount of Kontent without the DLC, but the point being made is that if they can annouce DLC characters and even show them as part of the already functioning gameplay trailers then it means they are simply holding them back for extra money. @FTL @SonOfVon guys to think that any company in the age we live in has not started, finished, or roadmapped their dlc before the game is released is naive at best. Don’t be mad at me for stating facts. I was making a basic observation that hey at least they are showing what you are paying for vs say smash ultimate who literally did the same thing with allowing you to purchase the game and season pass bundle at the same time first day of release. You could even preorder smash that way with the dlc included. Difference is they didn’t tell you squat about who you were paying for. Tell me were you all this butthurt about that? I’m curious. @SonOfVon I’m gonna say a lil bit of both however I put more blame on the devs and publishers. Gaming is no longer a niche hobby and the devs/publishers have taken full advantage of it. I have a hard time faulting the consumer who pays for something to enjoy when that’s the only option their given. Trust me I remember when dlc wasn’t a thing but it’s just the way it works now and unfortunately isn’t gonna change. I just don’t believe in singling out a single publisher to thrash when every single one of them do it ya know? Wasn't Shang Tsung supposed to look a bit younger? And more agile, for that matter? Why do they do this? The game isn't even released. An other studio who is milking from DLC stuff. People stop supporting stuff like this. Let them flatline with that paid DLC. If the game is finished and it's been added a year later I can understand, but already DLC ready characters? I'm not buying it. No sale! @Draxa To answer your question - I’m not ‘butthurt’... way to start making this aggressive, btw. I believe myself, and others, would have found the DLC issue that we speak of, equally problematic with Smash, however as I had previously stated, if a game is considerably ‘complete’ without DLC, then people including myself, are less concerned with any DLC plans. In the case of Smash, it’s absolutely a game that is already full of content, without the DLC, so it’s not really a concern because it doesn’t ‘feel’ like parts of it are held back for cash.... it does however seem like this, if a game is seemingly half finished, with DLC announced. Zelda is another example.... DLC was announced early on, but it felt like a complete and entirely competant package without the DLC to begin with, making it less of a problem. @AlexSora89 The game has time travel - there are multiple versions (ages) of characters.... However, time has passed since the originals - e.g. Sonya and Cage are old enough to have fighting children.. (where this was not the case in the originals either). DOOOODDD!!!! I’m so freakin pumped!!!! Noob is lookin FRESH AS FCUK!!! You were almost right in your first sentence when you mentioned that ‘you’re not understanding what I’m saying’..... I actually was saying the exact opposite of everything you just said... My original example was that IF MK11 is already fully featured (which I hope it is) then it would not be a problem to have the DLC, and also went on to say in other posts elsewhere that MKX was fully featured so I have high hopes... I feel like you are just a rude person who wants to argue. Time travel, huh. I'm sensing a Mortal Kombat Ultimate pretty much in the same - heh heh - vein Armageddon was. @Draxa There are differences between Smash Ultimate DLC and Mortal Kombat 11 DLC though. Smash Ultimate DLC are characters yet to be developed and are brand new to the game whereas Mortal Kombat 11 DLC may or may not be new and the reason Shang Tsung being a DLC pissed the fans off is that he originally was a character within the roster and not just someone extra that was added later on to the game. To have an already established character announce this early as paid DLC is just wrong. Had he gotten announced later after the game's release that would be much better understanding but before the game's release and still not part of the in-game roster at that is just wrong and greedy. So I see Netherrealm has adapted their monetization strategy to take advantage of nostalgia like Capcom are trying with Streetfighter V with asking people to shell out money for their classic costumes.. I remember when DLC comprised of content that was developed far later than the core game and used to be released to fans for free for supporting same. Announcing characters that you'll need to pay extra for before the game is even out just smacks of greed and will end up being NR's undoing. I was quite excited about the game but will pass until the usual 'Komplete Edition' or whatever they call that crap comes out and is sold at a discounted price. Seems to be standard fare for NR now these days..
@retro_player_22 like I said in my previous comment, to think that any dev/publisher doesn’t have their dlc developed, roadmapped, or planned out at release is naive. Sure they might not be done developing and balancing the dlc characters in smash but I can tell you they definitely had a plan of what characters they were going to save for dlc and a timeline of their release. They aren’t going to sell dlc day one to the masses blind. Also as mentioned in my previous comment mk has a much smaller roster to pull from then smash so of course they are going to start announcing dlc characters early to keep the hype alive. We have yet to see any gameplay of Shang Tsun so I would like to know how you are so sure that this dlc character is fully developed before release? For all we kno they could just have the character models ready. @FTL or you just can’t convey your points properly. I’m not reading every post your putting on this thread. Just the initial one I responded to and the subsequent responses to me. I also just thought we were having a discussion on a disagreement of views here but now I’m aggressive and rude. So since we can’t seem to agree we better stop now before I make you cry. Take care! @Draxa There’s a difference between crying and thinking someone is unable to convey their thoughts without being rude. Enjoy lol. @FTL NRS makes the most content packed fighting games that even rivals Smash to a certain degree. They have for years (remember MK chess and puzzle fighter). So this kind of the wrong company to scrutinize as much with their practice of showing dlc before release. @chill_e Yea my original comment was in relation to what someone had said - and my original reply was that exact thing, that generally MK (at least based on X) was fantastically full of content, so fingers crossed it’s the same here and in that case, I’m happy to see extra DLC. the game is a month from launch and they are revealing DLC already? Why isn't he a day one patch into the game if he's pretty much done already?